AS THE government spends millions of cedis planting trees to protect the environment, the Aburi Botanical Gardens has rather come under serious threat, especially, its forest reserve, following the Akuapem South District Assembly’s decision to develop 23 acres of the land into an Assembly complex. So far, about two acres of the forest reserve have been destroyed through the cutting down of trees by the Assembly, led by its Chief Executive, Kwadwo Afari-Gyan. The incident, which occurred in early March this year, has brought animosity among the staff at the gardens, the District Chief Executive, and the entire people of Aburi, with the indigenes swearing to put their blood on the line to protect the forest reserve. 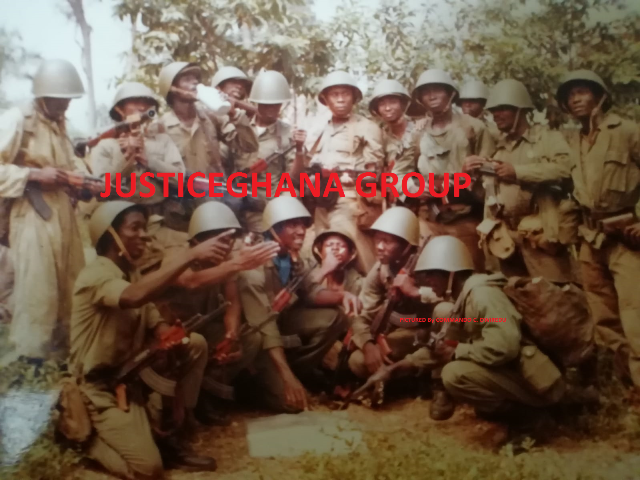 It all started when the DCE, Mr. Afari-Gyan, on Friday, March 7, 2014, stormed the forest reserve with chain saw operators, and directed them to cut down the timber species, in preparation for the proposed Assembly complex. Mr. Afari-Gyan, The Chronicle learnt, had earlier proposed to the Minister of Local Government & Rural Development, Akwasi Oppong-Fosu, during his recent visit to the Aburi Botanical Gardens, to develop a portion of the forest reserve for the Assembly’s office complex. But the Minister, cautious of the implications of the said proposal, directed him (Mr. Afari-Gyan) to engage the traditional authorities of Aburi, the custodians of the land, and authorities of the Department of Parks and Gardens, under whose care the Aburi Botanical Gardens operates, to see how best they could arrive at a decision in getting a piece of land for the said project. But Mr. Afari-Gyan, for unknown reasons, took the law into his own hands without engaging any of the above mentioned authorities, and took the Assembly’s surveyors to study and demarcate a portion of the 172-year-old forest reserve for the project. The demarcation was followed by the clearing of the timber species and other medicinal plants on the piece of land for the Assembly complex. In the course of clearing the land, a security man at the place raised the alarm, leading to the arrest of the chainsaw operators, who were later handed over to the police for interrogation. However, about an hour after their arrest and subsequent detention, Mr. Afari-Gyan went and bailed them, with the explanation that he ordered them to encroach on the forest reserve. The Aburi Botanical Gardens operates under the Department of Parks and Gardens, which is an agency under the Ministry of Local Government & Rural Development. It covers an area of 160 acres (64.34 hectares), out of which 35 acres has been developed. The Gardens is one of the leading gardens in the world for research into tropical botany. It is made up of orchids, flower plots, rock gardens, children’s park, nurseries and chalets (apartments for rental). It further has 13 hectares of undeveloped land (forest) reserved in its wild state as a means of stabilising the ecology of the area. Following the release of the chainsaw operators, an emergency meeting was held between the stakeholders, where the DCE was advised to refrain from encroaching on the forest reserve until further notice. “From that arrangement, he stopped until a week later, when he came back to the forest again to cut down the trees,” recounts a staff of the Aburi Botanical Gardens, who did not want his name to be mentioned, because he was not authorised to speak on the matter. Following his second attempt, the Director of the Department of Parks and Gardens, Mr. Nantogma, The Chronicle understands, lodged an official complaint to the Minister for Local Government & Rural Development, where an arrangement was made to meet all the parties. Mr. Afari-Gyan, according to inside sources, was ordered by Mr. Oppong-Fosu not to encroach on the forest reserve again, since he had no right to do so. At the said meeting, the authorities of the Aburi Botanical Gardens were also directed to take custody of the remaining lumber, The Chronicle understands. A follow up to the offices of the Aburi Botanical Gardens confirmed the seized lumber was being kept at the stores of the Gardens. However, interactions with some of the staff revealed that the verbal directive from the Minister was simply just not enough to deter Mr. Afari-Gyan from carrying out his agenda, as they prefer a documented directive that could easily be referred to challenge whoever encroaches on the forest reserve. “We the workers are demanding that any directive from the Minister should be a written document – something that we can lay our hands on to challenge the DCE, since he does not respect anyone here,” noted a senior staff member, who wants to remain anonymous. Since then, Mr. Afari-Gyan has allegedly threatened to revisit the cleared area to develop it into an Assembly complex, since the Assembly has no option. He is reported to have threatened to sack any member of staff of the gardens who comes his way in the course of pursuing his agenda. The Akuapem South District Assembly, one of the newly-created district assemblies, currently operates in the building of the School of Horticulture, located in the premises of the Aburi Botanical Gardens. There had been widespread reports of the DCE accusing staff of the garden of cutting down trees in the garden for commercial purposes. Mr. Afari-Gyan, when contacted, to ascertain the above-mentioned issues, declined to comment. “Do I have an appointment with you? You can’t just wake up and come here. You need to book an appointment with me,” he noted, while directing his Secretary to book an appointment for the reporter. “Give him next week, Monday,” he ordered. The Curator of the Aburi Botanical Gardens, Mr. Albert Asiedu, when contacted on the subject matter, said he was amazed when the DCE decided to encroach on the forest reserve, when the Minister of Local Government & Rural Development had directed otherwise. When asked what his outfit was going to do with the seized lumber, he said there was an initial agreement with the Assembly to share it into two (50/50), but the Assembly, led by Mr. Afari-Gyan, wanted to take the lion’s share.This, he noted, had brought the agreement to a standstill, but noted that since revenue from the garden goes into government coffers, they had decided to sell the lumber and put the proceeds into the government chest. Officials of the Aburi Botanical Garden apprehend one of the chainsaw operatorsWith regards to the cutting down of trees by staff of the garden for commercial purposes, Mr. Asiedu said: “We are indeed cutting down trees, but that is meant for a project by the Cocoa Research Institute.” He said the garden had entered into an agreement with the Cocoa Research Institute to revamp the cocoa plantation in the garden meant for research purposes, hence the cutting down of the “voluntary trees” in preparation for the said project. He said his outfit had always gone to the open the market to buy lumber when they needed some, and not cut down what was in the forest reserve, since “that is our national heritage.” Attempts to get the Director of Parks and Gardens, Mr. Nantogma, to comment on the issue, have proved futile, and several calls and a text message to him have not been returned. The Deputy Minister of Local Government & Rural Development, Baba Jamal, who, The Chronicle learnt, played a pivotal role in stopping the DCE from carrying out the plans of the Assembly, when contacted directed the paper to talk to the Director of Parks and Gardens.